Regenerative Medicine Today welcomes Dr. Michael Jamieson. 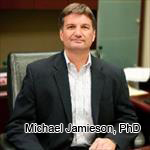 Dr. Jamieson is the Associate Director of the International Center for Regulatory Sciences, and an Assistant Professor Clinical Pharmacy, School of Pharmacy, University of Southern California. Dr. Jamieson discusses the relationship between industry and academic labs. 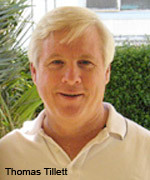 For more information about Dr. Jamieson, click here. 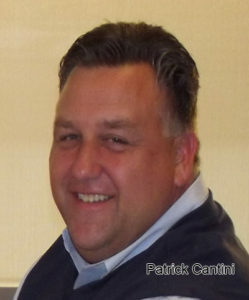 Regenerative Medicine Today welcomes Mr. Patrick Cantini. Mr. Cantini is the Director of Scientific Collaborations at the McGowan Institute’s Center for Industry Relations. Mr. Cantini discusses the importance and the process of establishing partnerships between the McGowan Institute and commercial enterprises and how this aids the transition from the laboratory studies to medical practice. For more information about Mr. Cantini, please click here. Regenerative Medicine Today welcomes John Manzetti, President and Chief Executive Officer of the Pittsburgh Life Sciences Greenhouse (PLSG). The PLSG is a public/private partnership for promoting the growth of the Western Pennsylvania region’s life sciences industries. The group invests in and supports regional life sciences companies in the areas of bioinformatics, bionanotechnology, diagnostics, medical devices, medical robotics, therapeutics and tools and services. Mr. Manzetti overviews the programs of the PLSG and he also highlights the accomplishments and current initiatives of the PLSG. For more information about the PLSG, please click here. How do you turn a rust belt city into a world leader in biotechnology? Doros Platika, MD, has some ideas. 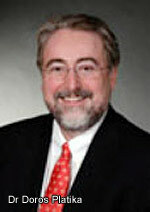 Until December 1, 2006, Dr. Platika served as the president and chief executive officer of the Pittsburgh Life Sciences Greenhouse, a public/private partnership that invests in and supports the growth of life sciences companies in the Pittsburgh region with products in bioinformatics, bionanotechnology, diagnostics, medical devices, medical robotics, therapeutics, and related tools and services. In this podcast, you’ll hear Dr. Platika review the accomplishments of the Pittsburgh Life Sciences Greenhouse, and he’ll talk about his new job: helping to get funding to study the world’s oldest people.